Based on the Disney animated film, the hit Broadway musical, and one of Hans Christian Andersen’s most beloved stories Disney’s The Little Mermaid is a hauntingly beautiful love story for the ages. In a magical kingdom fathoms below, we meet Ariel, the little mermaid who is tired of flipping her fins and longs to be party of the fascinating world on dry land. Joining her are Sebastian, Ariel’s crabby sidekick; Ursula, the evil sea witch; Triton, King of the Sea and the handsome and human Prince Eric. Dive on in! Life is the bubbles, under the sea! 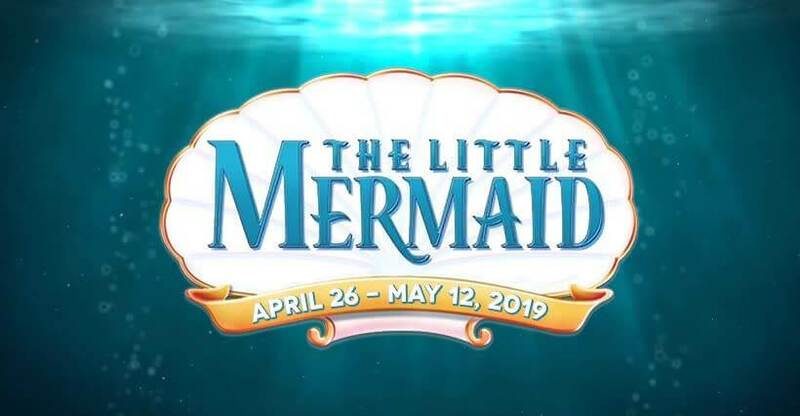 Come celebrate 30 Years of Disney’s “The Little Mermaid” Live on stage at the Historic Haven Theatre in beautiful downtown Brookhaven. Performances will be held April 26-May 12, 2019. Our talented local cast will take audiences UNDER THE SEA for our much-anticipated THREE WEEK RUN of this magical musical adventure! Come see Ariel, Flounder, Ursula, Sebastian and all your favorite characters. We hope to see you there!